With a name like Champagne Cartel, I just know I was going to love these two ladies even before I knew what they stand for! 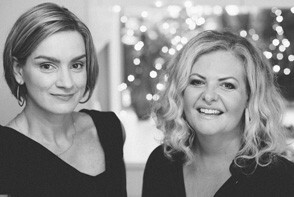 Carolyn Tate and Gillian Moody have created a positive online space for busy working mums where they focus on what matters. The ‘you’ that existed before the kids and the mortgage and your over scheduled life. They believe in daring to put yourself first and think mummy guilt is for suckers. Fabulous women? You betcha! Carolyn: I’m not sure it really has. Forty has really just been a number for me, and it hasn’t really presented any mid-life crisis or anything. I know I’ve never been more confident or comfortable in my own skin than I am now, and I feel like I am more capable and powerful than ever. My thirties were pretty much spent having babies and looking after tiny children, so now that my kids are a bit more hands-off, I feel like I can focus more on things that matter to me: my business, my friends, my interests, my health. Gillian: Forty was definitely a magical milestone for me. I had a cracking party with friends and family coming from far and wide and I really celebrated. Since turning forty I have become more self-assured and more confident, more clear in my intentions, more determined. I am highly motivated to be the best me I can be. 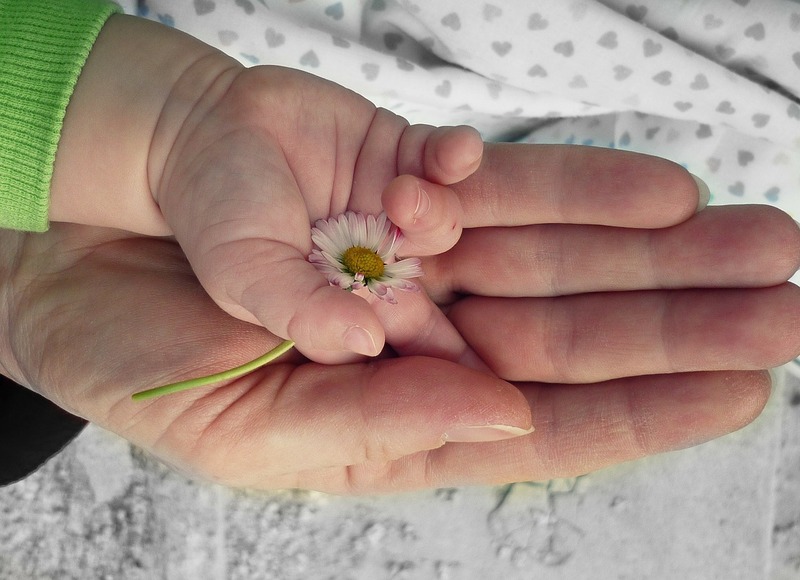 And I am really proud of what I have achieved since I turned forty – I gave birth to my second boy in the most beautiful drug-free circumstances, it was something I had really wanted and was so happy about. Not only that but I’ve started regularly writing a blog, created a successful business with Carolyn, I’ve done my first ever 5 kilometre fun run and a bunch of other awesome stuff. ON YOUR WEBSITE ‘CHAMPAGNE CARTEL’, YOU HAVE CREATED A LOVELY POSITIVE SPACE FOR BUSY WORKING MUMS TO TAKE SOME TIME OUT FOR THEMSELVES. CAN YOU TELL ME A BIT ABOUT HOW IT CAME ABOUT? Carolyn: Well, thanks! I was home with my third baby, and Gillian was just about to have her second, and I just wanted to do something creative that would keep my hand in professionally (I was a freelance writer but now I run our business Champagne Cartel Media). I feel like we see so many articles online about how to be a better parent, a better wife, a better friend, a better lover…but not much about how to be good to ourselves. There is so much out there that is designed to make us feel ‘less than’. I wanted to celebrate us as women, and show others that the world won’t end if you prioritise yourself – quite the opposite, wonderful things can happen when we feel great about ourselves. The cascading effect of that is immense! WHAT ARE YOUR GO TO STYLE TIPS FOR WOMEN ON THE OTHER SIDE OF FORTY WHO DONT KNOW WHERE TO START? Carolyn: Buy the best quality staple pieces you can afford and then add to that as you go. Find three or four colours that really suit you and build your wardrobe around them. Watch blogs or magazines and learn how to accessorise – it can lift an outfit, and your entire wardrobe, from average to fabulous. 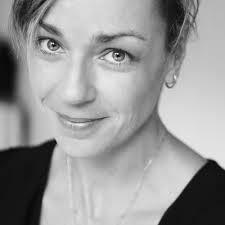 Gillian: As a makeup artist, my top tip is to keep your skin hydrated, this means drinking plenty of water and moisturising! Great skin is always in fashion. The second thing is to not be afraid of bronzer. It gives a fabulous brightening effect if you apply sparingly. I also think that a bit of lippie never goes astray. As we get older we lose pigment in our skin and lips so a little bit of colour is great for a pep up! Carolyn: I’m a big believer in the connection between healthy mind and healthy body. I run regularly and like setting goals. I’ll be running my first marathon in 2016 which terrifies and thrills me all at once! I also like to do small things like have a glass of champagne for no reason, sit under a tree and read a book, get my nails painted. Oh, and I love to spend time with girlfriends. 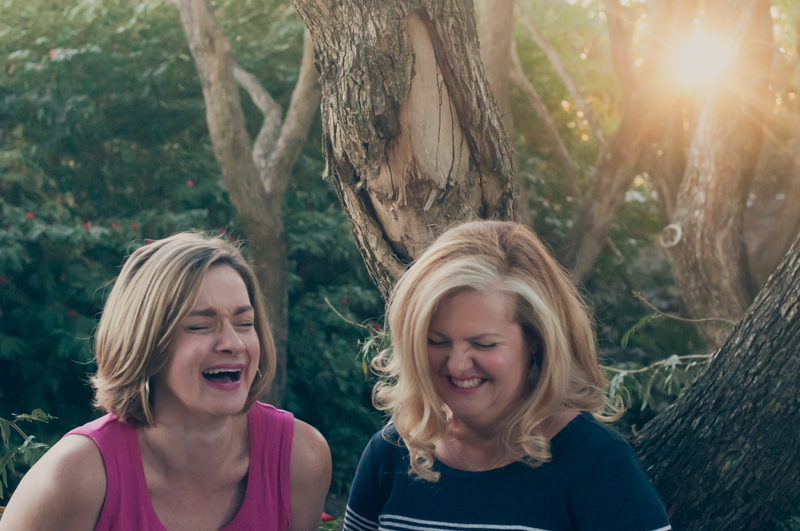 There is nothing like some ladylove and belly laughs to restore your energy and make you feel fantastic. Gillian: I couldn’t agree more about the importance of ladylove! I really try and make time for cocktails, dinner or brunch with my sister or girlfriends. A group of us have a regular 2 monthly catchup appointment in our diaries because if we don’t schedule it, it doesn’t happen. I also love to cook and prepare delicious healthy food. I am passionate about the power of fresh wholesome food and also the process of cooking. For me the ultimate in relaxation is stirring a pot, listening to my stock blipping away, cutting up some vegetables. Oh and I REALLY love my sleep. When I don’t sleep well, I find life a bit of a struggle. With small children, there are times when I can’t avoid having bad sleep, but making sure I don’t work late at night on a computer is a biggie for me. I AM BIG BELIEVER IN FINDING THE FUN AND JOY IN EVERYDAY LIFE. WHAT BRINGS YOU JOY? Carolyn: My three gorgeous children, of course. But also my business, a nice glass of proper French Champagne,a night out on the town with my husband, laughs with my girlfriends, runners’ high, those moments when I remember to be fully present in whatever I’m doing, great ice cream, videos of cats knocking over babies, the beach first thing in the morning, a great novel (and time to read it), a brilliant op shop find, the scent of frangipanis, yoga, feeling healthy and well rested. Gillian: My hilarious and awesome husband and two crazed boys aged 2 1/2 and 6. Eating my snack box of raw fruit and veg every day. My morning cup of tea. The phone conversation I have with either my mum or my sister every morning. Walking into my beautiful home after a day at work. The sound of a champagne cork popping. Getting ready for a night out, choosing an outfit, shoes and lippie. Christmas carols. Anything that is gold and sparkly. Fairy lights. Reading every night before bed. Writing a really great blog post. Walking to school pickup and dropoff. Coffee in my local neighbourhood cafe where I know am going to run into someone I can talk to. Having a bunch of wonderful neighbours. Working with Carolyn on Champagne Cartel. Running my makeup workshops and consults and helping women to feel great. Carolyn: Back yourself, because you have unique and extraordinary gifts. Know you are enough and give the best version of yourself to the world. And don’t take any crap. Gillian: You definitely will achieve those things you dream of. It’s all going to be ok, so just chill. Love yourself, be kind to yourself, slow down and make the most of those opportunities. Do the stuff YOU want to do. One page to print out and put into action in order to bring more fun into your life right now: I’m sure we could all do with less stress and more fun, am I right? Sign up now in the Green Box at the top of this page! I recently did something that I am not proud of: I lost my temper at one of my children. Big Time. I screamed at my teenage son when he wouldn’t do what was asked of him. Not only that, I followed him upstairs continuing to yell at him as I sent him to his room. Inexplicably, I even kept it up as he complied with me and went to his bed in a flurry of tears. It is not easy for me to sit and write these words, and acknowledging my uncontrolled anger makes my stomach feel sick and tears spring to my eyes. It doesn’t really matter what it was about. Like most 13 year olds, my son is certainly good at pushing my buttons and viewing the world as solely revolving around him. He was in the wrong, and wasn’t doing what was repeatedly asked of him, but really there are many other ways to deal with this sort of (admittedly common) behaviour. Because I am the grown up. I am the mother. I aim to live every day in alignment with my core beliefs of connection, joy and love. I even did a Masters in Child Psychology for the love of God! I certainly know better than this. I know yelling doesn’t work. I know that all I proved to my son on that fateful afternoon was that I can yell louder than him and make him cry. So how do you move on when you get it wrong? First up is space. My son needed space from me, not more words, and I certainly needed space from him. We both needed time to calm down and process what had happened before we talked about it. I also needed to have a good cry in private, make a cup of tea, and quietly reflect on my own behaviour. I acknowledged to myself that I make mistakes. I am an emotional person. I can be hot headed. I am less tolerant when I am tired. I am less tolerant when there has been lots of bickering going on in my household. I know these things about myself. I am definitely not perfect: as a mother, a wife, a friend, or as a life coach. I am only human. But you know what I didn’t do? I didn’t beat myself up. Well, maybe I did a tiny bit, but then I quickly moved on. Does one parenting fail negate all the times I am a good mother, or dare I toot my own horn and say, a freaking awesome mum most of the time? Of course not, yet this is often what we focus on: the one bad story, instead of the myriad of good experiences we have with our children. We are so quick to point out our own flaws and fixate on them, instead of congratulating ourselves when we get it right, and giving ourselves a pat on the back for doing a damn good job nine times out of ten. So what did I do that afternoon after I wiped my eyes, drank my tea, and took a few deep cleansing breaths? I treated myself like I would my best friend in the same situation. I forgave myself. I thought of some strategies for how to better deal with frustrating teenage situations (of which no doubt there are many more to come!) I gave myself love. I gave my family my love. I hugged my daughters, and told them how much I love them. I explained that mum had made a mistake, but like any mistake, you learn from it and you move on. I upped the self care, and treated myself to an early night to bed with a good book. And to my teenage son? I wrote him a heartfelt letter, and left it on his nightstand to read when he first woke up. I acknowledged what had happened, apologised for it, and emphasised that we are both always learning, and when we get it wrong, we forgive each other and come back to our core truth: that we love each other, and no matter what happens in his life, I will always have his back. How did he respond? No words, just a lanky body that woke me up early the next morning by slipping into bed next to me and wrapping his long arms around me and burying his head in my neck. I know I am a good mum doing the best I can, and the proof was lying right next to me squeezing me tight. This post was hard for me to write, but I know I am not the only one to get it wrong as a parent on occasion. How do you move on after you get it wrong? There is a faded water stained picture I have in my possession that I drew in 1978 (and yes I feel old when I realise that was 37 years ago!) It is of a group of women at the hairdresser…and I love it. I love the the smiles on their faces, the detail of the salon, including some spiffy wigs for sale…just looking at it transports me back to being 8 years old and the feeling of joy and quiet satisfaction I felt when engaged in doing something I loved. Now, I am under no illusions about my talents for drawing, and my woeful colouring in in this picture confirms my distinct lack of skills in this area. However, I love this drawing because it was probably the last time I created a piece of art and felt it was good enough. You see in my family (for better or worse), my younger sister was known as the ‘arty’ one, and I was considered the ‘brainy’ one. This may have been purely because I wore chunky tortoiseshell rimmed glasses as a kid in the seventies (before hipsters made them cool may I add) but regardless, these labels stuck for us both. I started to value my worth around being good academically at school, and viewed creativity and art as something my sister was good at and I was hopeless at. And guess what? These self imposed labels stuck for YEARS. I completely stopped drawing (even though I used to love it) because I felt I was no good at it. In other words, most of us stop drawing at a very specific point in our lives: the moment we were told (or decided for ourselves) that we weren’t good at it. This was certainly true for me, and I can honestly say that I never attempted to draw again until a couple of years ago, when on the other side of forty, I started tentatively looking for the creative being I knew lurked deep within me. On a whim, I decided to enter an art supplies store (all the while feeling like a complete fraud) and hastily bought a sketchbook and drawing pencils. I left feeling strangely exhilarated, and as I hesitantly put my pencil to paper for the first time in so many years, I felt time stand still and once again entered that magical state known as creative flow. Now, I’d love to say that I immediately created some amazing art (it was pretty crap actually!) but I didn’t care, I felt a long stifled feeling of creative life-force reappear, much like when I started writing again, or when I dance without abandon around my living room. These are feelings we must treasure throughout our lives, and not abandon to our long ago youth. I for one want to live my life like this, how about you? 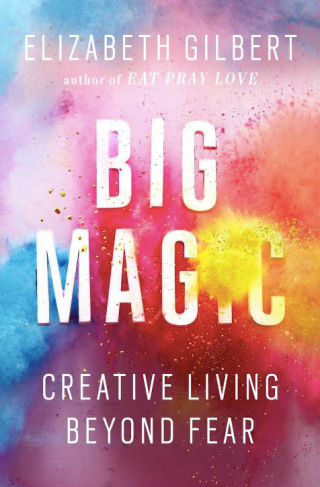 I loved the book Big Magic so much, that I would love to GIVEAWAY a copy as it is truly a life changing read. Simply make sure you are subscribed to my newsletter (sign up in the green box above if you have not already), and comment below about your creative journey: Do you see yourself as creative? Did you give up being creative as a kid? 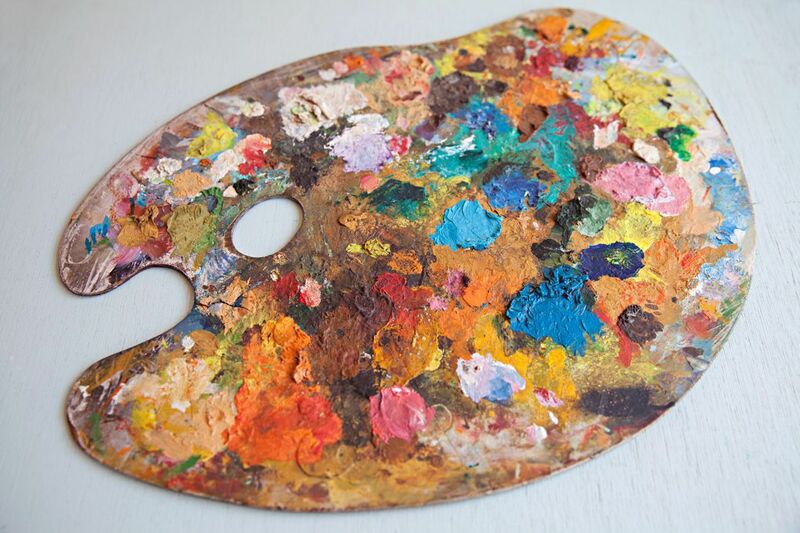 How do you express yourself creatively? I will randomly choose a winner and announce on Facebook, Instagram, and my newsletter by Wednesday 18 November. GOOD LUCK! 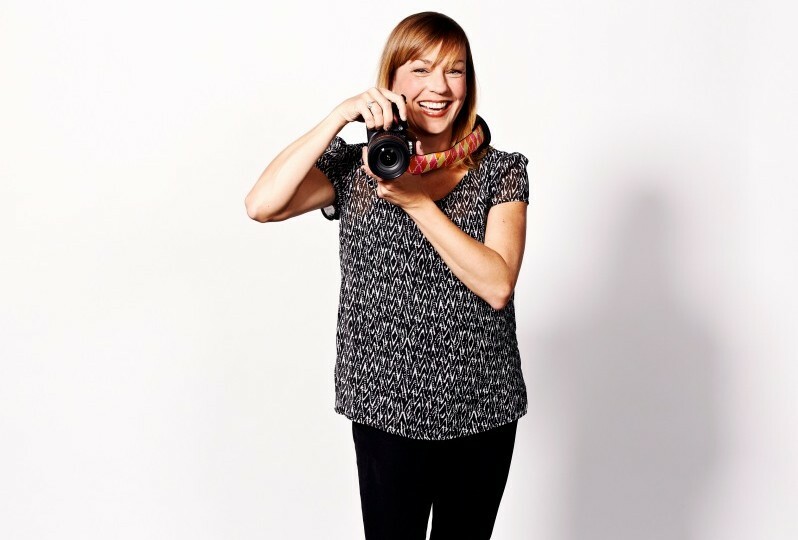 Rachel Devine is an acclaimed photographer, photo blogger at Sesame Ellis, mom of 3 and a fabulous woman on the other side of forty of course! I moved to Australia when I was turning 38 and pregnant with twins. It was a crazy time and really only after I turned 40 did things start to settle into the new normal of life with three kids in a new country! I became a citizen last year and am loving life here. I get more tired now that I am over that 40 line, but I have never been a night owl so early to bed and early to rise is working well for me. I am seeing my mother in myself a lot these days. She was 44 when I was born so I guess I am just starting to recognise the characteristics of the age I remember her being. She is still a spark nearing her 90th now so I guess I have a lot to look forward to. The main thing I have noticed is that I am calmer and more happy than I remember ever being. Oh, there were thrilling and exciting times in my youth, but I have learned to appreciate the simple day to day joys now. And I am confident in what I like and who I am. IN YOUR PHOTOS YOU OFTEN CAPTURE THE BEAUTY OF THE LITTLE MOMENTS OF FAMILY LIFE. WHAT IS YOUR ADVICE FOR PEOPLE WHO WANT TO TAKE BETTER PHOTOS OF THEIR FAMILIES/CHILDREN? Never put the camera away. Really. I see so many people buy huge DSLR cameras when their kids are born with the intent to take beautiful pictures of their family only to find they are worried that they will break it or it is just too heavy and cumbersome to carry around. Get a great small camera like the new mirrorless ranges and take it with you. Use your phone if you must. Just have a camera and take pictures of your everyday. I think the very act of making photographs in a moment shared with my kids helps me remember that experience. And let the kids take pictures too. Not only will you actually be IN some of your family’s photographic history, you can really learn to love yourself by seeing you the way your kids see you. YOU’VE HAD A PRESENCE ON THE INTERNET FOR MANY YEARS WITH YOUR BLOG SESAME ELLIS. HOW HAS IT CHANGED OVER TIME, AND WHAT ADVICE DO YOU HAVE FOR THOSE THINKING OF STARTING A BLOG? I consider myself an accidental blogger. I started out by sharing images and little story snippets on Flickr in 2004. I migrated to my own blog a few years later as that became a thing. It was just nice to know that I owned the little spot of digital real estate where I housed my memories. That is why I continue to blog. Social media sites can come and go without your input and then all your handwork at documenting life is gone with the site. My blog is self-hosted and backed up regularly so that I have my virtual copy. As far as advice for someone thinking of starting a blog… That is a big question. I guess my main bit of advice is to blog for yourself first and stay true to that mission. The readers will come for that and stay because they trust what they will get it real. I make sure I read books for fun and not just work related stuff. I get outside and go for runs. I laugh often and often at myself. I AM BIG BELIEVER IN FINDING THE FUN AND JOY IN EVERYDAY LIFE. HOW DO YOU HAVE FUN? It is funny, I don’t really have any hobbies besides photography. I find taking pictures and looking at great photography to be such fun. I guess it is great that I get paid to do what I love! Running is fun for me as well because I do it for myself and not to win races. I pay for Apple music monthly so that I can listen to whatever I want when the urge strikes and that is often only when I am running. In the car, the kids have too much say over what we listen to! Also when I run, I get to see the sea. Being by the water is pure joy for me any day. I could never live far from the ocean. Settle petal…it will all be fine. I was just so anxious to get somewhere in life (not even sure where, just SOMEWHERE) that I think I forgot to even enjoy the daily things for the longest time. I was rushing to be a wife and mother and all that time I spent worrying that it would never happen, well, it turned out to happen perfectly in its own time. If it had happened with anyone other than my Alec, I would not have the lovely life I have now. So while I would tell myself to relax a bit, I wouldn’t change a thing because all that I have done and seen and even the mistakes make me who I am today and I am pretty happy with that. Thanks so much Rachel, I love your advice about getting the kids involved in taking pictures with you in them. I think most mum’s are guilty of always being behind the lens!